(15-30 minutes) Start things off with a bang, or beat the after lunch slump! 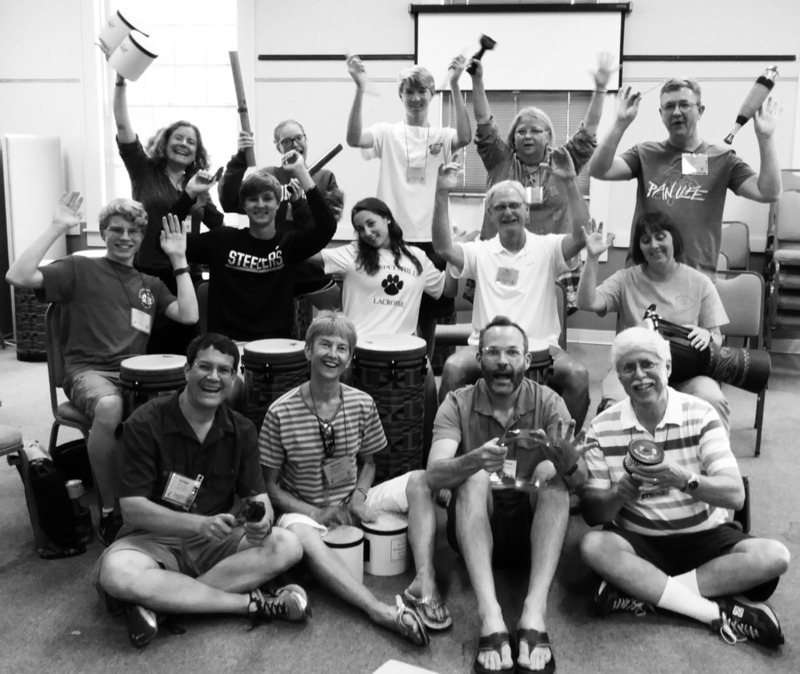 ArtBeat helps your delegates find their groove again by offering a unique, joyful, co-operative activity to restore group focus. 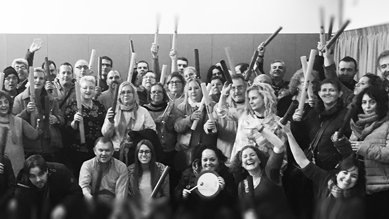 Through drumming (or even 'Boomwhackers' - brightly coloured musical tubes especially suited to large numbers and quick set-ups), delegates are rapidly engaged in creating their own rhythmic music in an event that will be remembered for a long time! As well as bringing your group to an alert, enthusiastic and active focus for what's next, the activity can also be used to deliver or reinforce the message of the conference: particularly appropriate themes include diversity, teamwork, change and challenge, and valuing the contribution of the individual to the whole. (30mins - 2hrs) These more focused ArtBeat sessions are best suited to smaller numbers - offering the most chances for participants to actively contribute and interact with each other. Again, these can reinforce the themes of the event, or be used as a tool to bring participants together; to break the ice; examine teamwork, or take a focused look at communication styles. Alternatively, an 'instant band' made up of delegates can be formed and ready to play for a conference break or finale! Often requested for public events, these short ArtBeat mini-workshops offer participants the chance to have a go at drumming in a way that is completely accessible to all ages and levels of ability. The sound of enthusiastic drumming reverberates around the site and beyond, offering an added bonus of drawing other peoples' attention to the event! "Loved every minute - a really good way to start after lunch!" "Delightful, unforgettable, make it a standard"
NHS Greater Glasgow and Clyde: conference energisers for Renfrewshire Primary Care Trust, and Community Mental Health Team away days. Creating Capacity: Socially inclusive occupational therapy. National conference. Energiser and workshop. Strathclyde University: series of staff wellbeing workshops. South Lanarkshire Children's Services: team-building workshop for staff development day. St. Mary's RC Primary School, Clapham. Workshop examining creativity for staff conference. Scottish Interfaith Council. Workshops exploring unity in diversity for several national events. Methodist Church in Scotland: workshop for national clergy conference.